We are sure that your spooky scene is terrifying—complete with all the obligatory things:cobwebs, spooky music, fake blood, maybe a prop here and there—but you can always boost the scare factor up a notch. Trust us, we're the experts over here! This Halloween, you probably want to do just that. Well, here's a little secret: what everyone forgets about—and we mean everyone, from holiday lawn decorations to amateur YouTubers to compulsive Snapchatters, is the lighting! Yes, good lighting means a world of a difference in all of these fields. Your face looks better in the right light and so will your lawn. 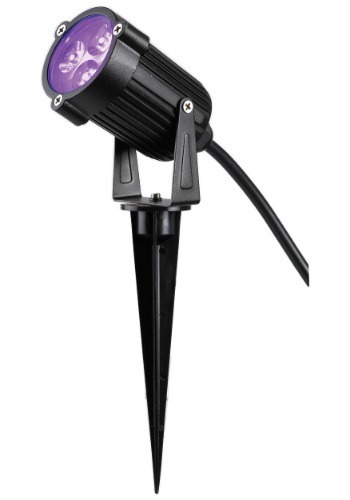 Specifically, it will look better when you add this LED Black Light Spot Light to any outdoor scene you've brewed up to creep out the neighborhood kids.